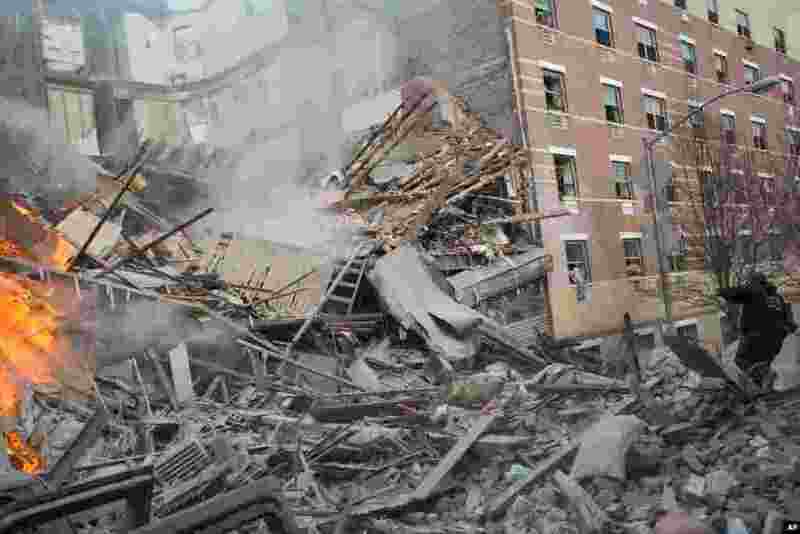 1 Emergency workers respond to the scene of an explosion that leveled two apartment buildings in Harlem, New York, March 12, 2014. 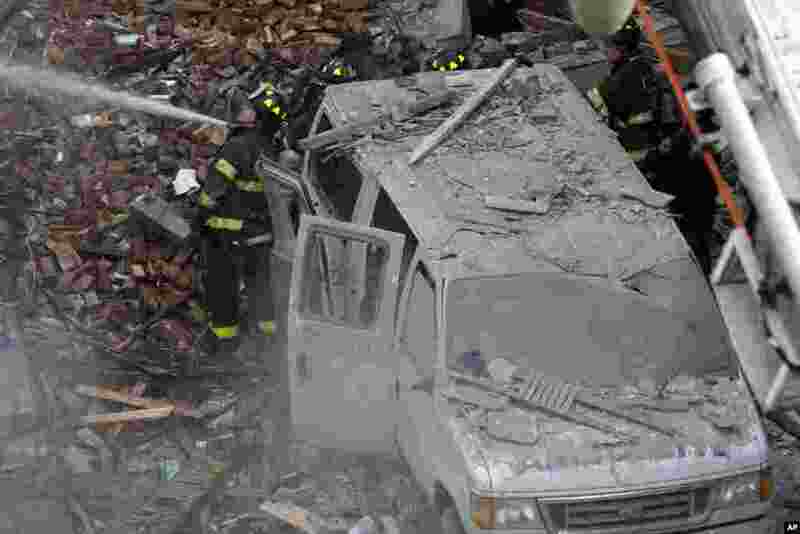 2 Firefighters respond to an apartment building explosion in Harlem, New York, March 12, 2014. 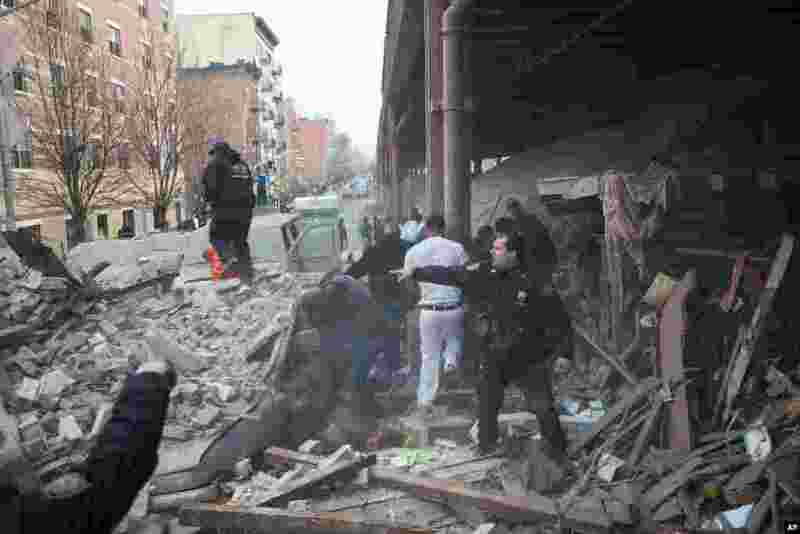 3 Police respond to the scene of an explosion and building collapse in Harlem, New York, March 12, 2014. 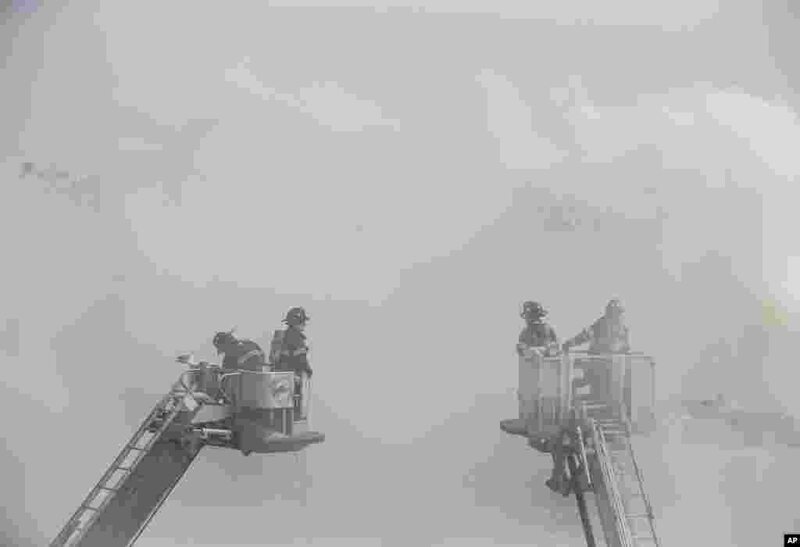 4 Firefighters respond to a fire in Harlem after a building exploded, March 12, 2014. 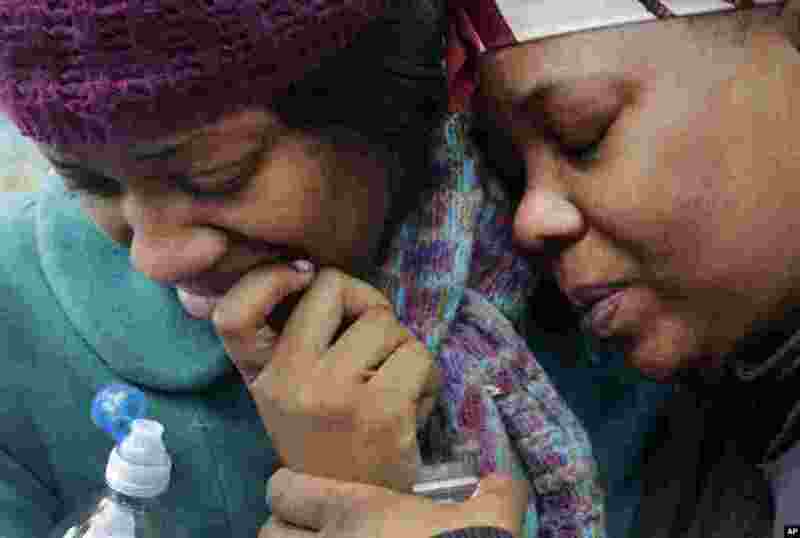 5 Alecia Thomas, left, is comforted by her friend, Shivon Dollar, after she lost her home following an explosion in Harlem, New York, March 12, 2014. 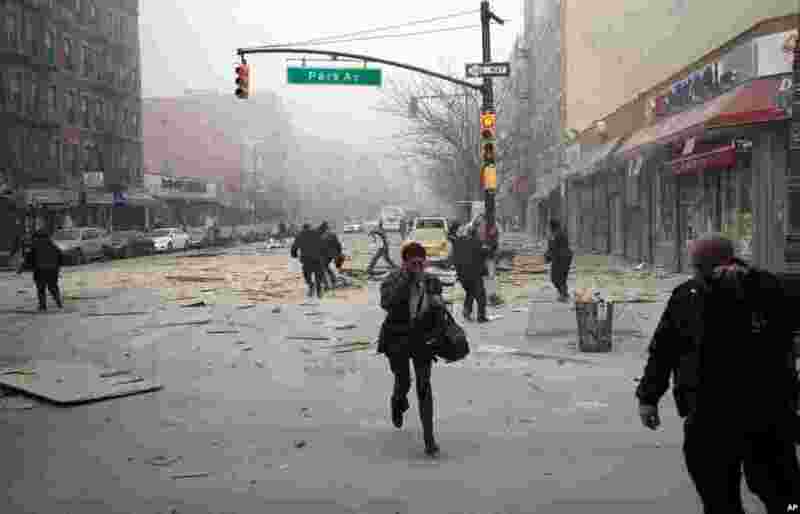 6 People run after an explosion and building collapse in Harlem, New York, March 12, 2014. 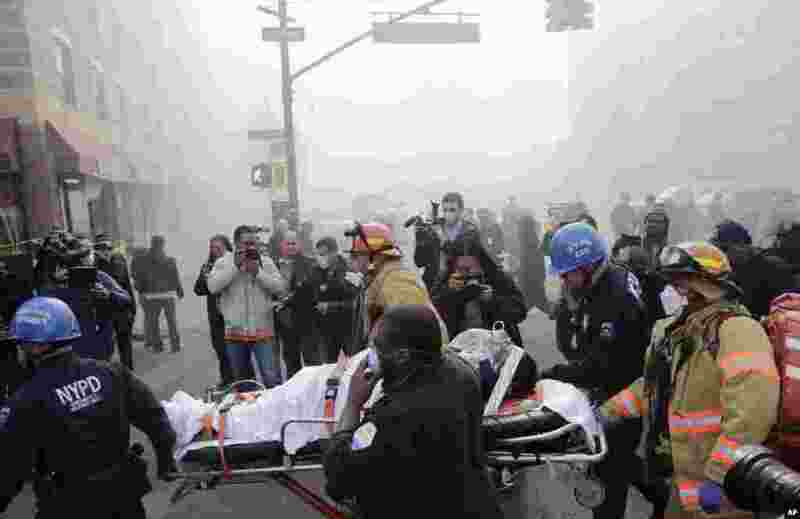 7 Rescue workers remove an injured person on a stretcher after a building collapse in Harlem, New York, March 12, 2014.